We found a really tasty veggie wrap recipe at Martha Stewart’s blog. It was easy to adapt, by merely substituting vegan cheese for the feta. We also made a light vinaigrette dressing from olive oil, lemon juice and some taco seasoning. Spelt or whole wheat tortillas were not available, so we used whole wheat pitas and also made pita sandwiches as well as wraps. The pita bread does not wrap well. I hope you give this nice recipe a try, it’s very tasty. 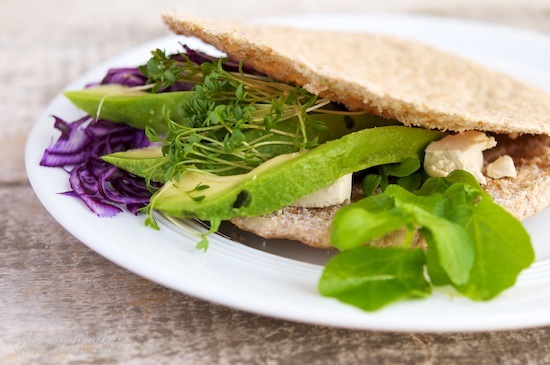 Posted by Chris Walker on January 20, 2012 in Avocado, Red Cabbage, Reviews, Watercress.